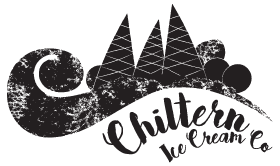 If you’re interested in stocking Chiltern Ice Cream Company ice cream, gelato or sorbets or are interested in serving them in your foodie restaurant, we’d love to hear from you! We’re based in Great Kimble, Buckinghamshire within the Chilterns Area of Outstanding Natural Beauty. Currently we’re not set up for visitors, but we’re working on it. For now can we ask you to make contact by email and we’ll respond as quickly as possible. You can reach us at info@chilternicecream.co.uk or use the form below.